I used some patterned paper from my stash, cut a vertical strip out of it, and stamped the sentiment in it. 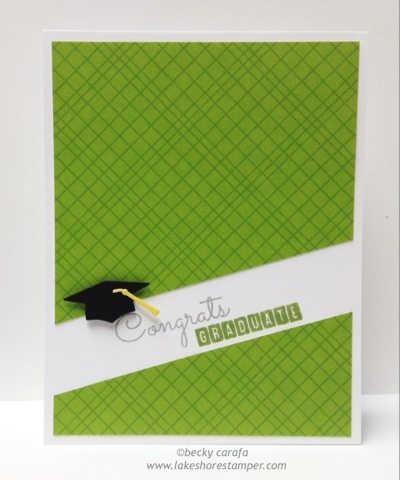 I die cut the hat and tassel (Mortarboard and Tassel) and added it to the card. Thanks for stopping by!